It’s another sad story. A 68 year old man finding his dead wife by a lake in Sweden. The police arrested him under the suspicion of murder. They Jailed the man while they underwent an investigation of the scene. The police latter released him after finding evidence that the moose did it. I love going for walks but we should always remember to be safe. 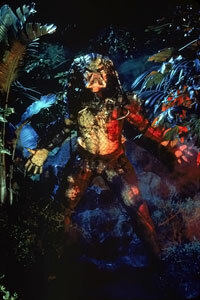 For me I just remember Friday The Thirteenth, and Predator whenever wandering in nature. Not that I expect to run into an alien or a paranormal killer but I find it helps me keep my guard up. Nature is what it is and it is not a respecter of persons. We can’t blame creatures for behaving as they normally do we should just be as prepared and mindful as possible.